The best river kayaking locations in New Zealand. 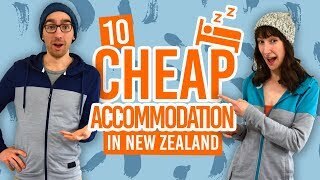 New Zealand’s landscape is known for being the grandest and most pristine in the world and the rivers are no different. Used by early Maori for transportation, the New Zealand rivers still make amazing journeys through wild and wonderful environments. What’s more, you have an overwhelming choice of rivers to explore with more than 180,000km of mapped rivers in New Zealand. To whittle your options down to a more digestible list of 10 amazing river kayaking tours in New Zealand! 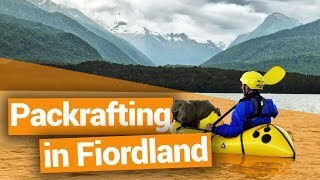 No two kayaking trips are the same in the New Zealand, with some tours taking you to natural hot springs and others passing through landscape featured in The Lord of the Rings movies. There are even night kayaking tours to see New Zealand’s glowworms. What’s more, you don’t have to be an experienced paddler to enjoy all this with tours usually giving an introductory lesson before the trip. New Zealand’s longest navigable river is home to the Whanganui Journey Great Walk (you know, that Great Walk that’s not a walk?) Canoe or kayak on a multi-day journey through and wild and beautiful Whanganui National Park – an area long forgotten with relics left by the early Maori and Europeans. There’s even a bridge called The Bridge to Nowhere. The forest and river has now taken over this national park that’s well worth exploring by kayak. Location: Whanganui National Park, Manawatu-Wanganui, North Island. Pick your adventure: relaxing river kayaking along the Ohau Channel between Lake Rotorua and Lake Rotoiti,splash around in the white water of Okere Falls, or enjoy an evening kayaking trip to see glowworms and relax in some hot springs. Plus, Rotorua has heaps of lake kayaking options too so find out more in our 10 Best Kayaking Lakes in New Zealand! 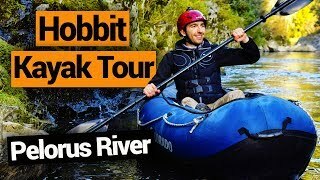 Kayak down the very same river that was used in the filming of The Hobbit and see why Sir Peter Jackson chose to feature this fantasy-like environment. Paddle past waterfalls, along moss-covered gorges and down a few fun rapids of the stunning Pelorus River. Book your trip with Pelorus Eco Adventures. Location: Havelock, Marlborough, South Island. There are many awesome reasons to kayak up the Waitangi River in the Bay of Islands! If kayaking through the unique ecosystem of a mangrove forest doesn’t excite you then perhaps get as close as you can to the impressive Haruru Falls will! Plus, you’re sure to see lots of birds and fish along the way. It’s just one of the 7 Water Activities in the Bay of Islands. Book your trip with either Bay of Islands Cruise & Kayak, Coastal Kayakers, The Rock Adventure Cruise or Bay of Islands Kayaking. Paddle under a galaxy of glowworms in the Mclaren Falls Park outside of the city of Tauranga. Glowworm kayaking tours start with a snack on the shores of Lake McLaren before following one of its narrow streams into glowworm grotto making a unique addition to kayaking in New Zealand! 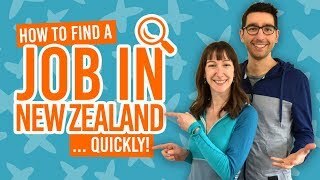 Book your trip with Waimarino. Kayak on New Zealand’s longest river, the mighty Waikato River, from the North Island town of Taupo. Not only is this a great river to kayak for beginners, but a stop off at the natural hot spring at Spa Park is an added bonus! Book your Waikato kayaking tour here. Plus, check out more things to do in Taupo! Kayaking is not just kayaking in Te Anau. Your kayak is an inflatable kayak that you can pack into your backpack with your paddle folded on the side. 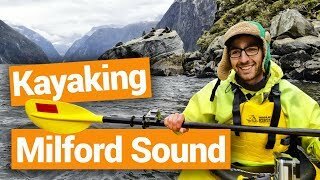 It’s called packrafting and it’s a way to get to all those hard-to-reach locations in the Fiordland National Park by kayak and by foot. Join a day trip down the Waiau River then walk the Kepler Track. Experience untamed wilderness on the wild West Coast of the South Island. Punakaiki might be known for its unusual Pancake Rocks, but venture up the Pororari River into the Paparoa National Park thick with rainforest and you’ll be overjoyed with having left the tourist trail. Location: Punakaiki, West Coast, South Island. Lake Wanaka is the start of the mighty Clutha River. This river has a great mix of peaceful river sections with crystal clear water and some playful rapids. All of this to the backdrop of stunning mountainous landscapes. Book your trip with Paddle Wanaka. See more things to do in Wanaka with our 10 Wanaka Must-Dos. Location: Wanaka, Otago. South Island. Another awesome river for multi-day kayaking or canoeing adventures in the Rangitikei River. Experience this forgotten area of the North Island as you delve through the deep river gorges of the Ruahine Forest Park. There’s plenty of white water excitement to be had to, as well as Lord of the Rings filming locations. Location: Trips depart from Ohakune, Manawatu-Wanganui, North Island.